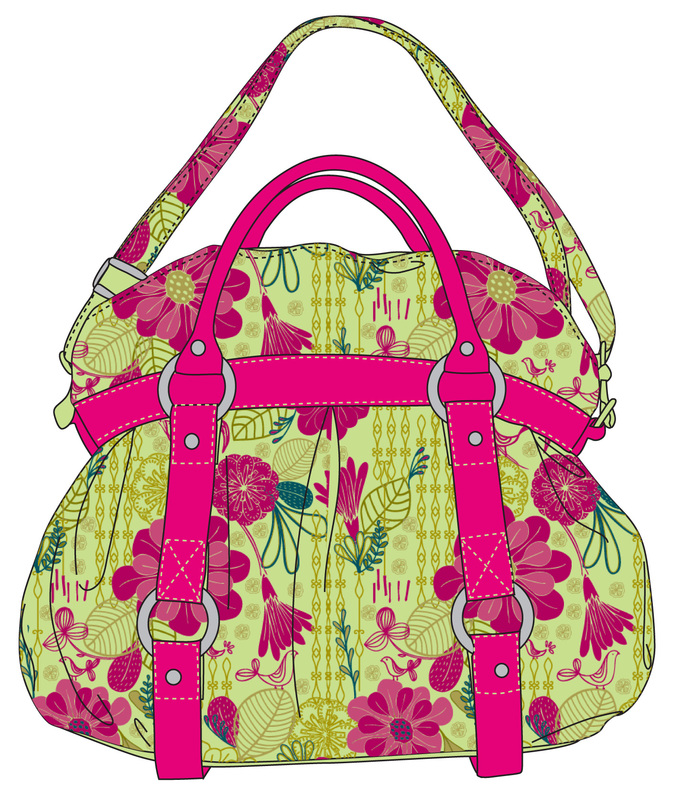 Ok,here's the deal.I am a handbag designer for teens (that is our primary target market,young,hip,cool girls). Lately I have been encountering problems with a fellow designer (this designer is way way older than I am,she is one of the oldest artist here in our company,and she designs for the kids market.We are of DIFFERENT brands and target market). But lately,for some reason,this colleague is turning to be a pesky insect who keeps on trash talking my design skills behind my back. She even has the nerve to copy my ideas and claims them to be her own concepts. She turns the tables around and it appears to our bosses that I am the one copying her designs and ideas!!! And just last saturday, I happen to know that she is stealing some of my suppliers! :shock: OMG, I am so irritated!!! I just want to ask for some fresh ideas and suggestions on what should I be doing next,what designs and what type of colors etc. Here are some of my latest works. Hope you'll pardon me if I have slight angst on my comments I am just a bit sad on what she has been doing behind my back. I'm not really a pro at designing handbags, so I can't help you with that, but I would suggest confronting your colleague. Perhaps not directly, but you could try and prove to others that you made sketches first. Always sign them with a date and store/file the drawings somewhere, so that you have 'proof' that you came up with something three months ago. For starters this could be handy to keep things organized, and you have the added benefit that you could confront people about stealing your ideas/work. Scanning drawings is also quite handy because once you save a file it adds a 'created on *date*' tag to the file. Theoretically you could fake this by setting the date back, but I think noone will accuse you of that if you seem honest. I'm not so much of a *girly* girl so probably not the best person to give advice on bags, but I do love bags and this one is awesome!